One of the most fantastic additions that you can make to your home is a concrete driveway, patio, walkway, or stairway. You and your family should have the ability to use every portion of your residence in the best possible manner. New hardscaping around your home is a fantastic way to enhance every moment you spend in the area. And when compared to other options, utilizing concrete rather than stone or brick pavers is dramatically more cost effective. You just need a skilled contractor that specializes in designing and installing beautiful concrete patios in Southwest Chicago. When you hire our professionals to design and construct your driveway, patio, walkway, or stairway, you are making the best possible choice for the task. Our locally owned and operated Southwest Chicago remodeling company has been serving local residents and businesses since 1962. We have been so successful for so long for one simple reason: in every task we conduct, our team places customer satisfaction as our highest priority. We are the local pros when it comes to concrete work! 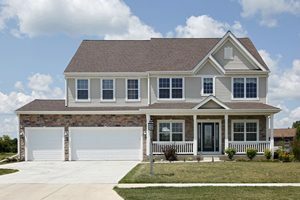 Call Allpro Contracting today if you need to hire a professionally licensed exterior remodeling contractor in Southwest Chicago. Our courteous and polite staff would be happy to take your call and to assist you in any way that we can. Our concrete paving and construction experts can answer any questions that you may have about our skills and services. We can schedule your appointment today. The driveway is the major entryway of your Southwest Chicago residence. It has a remarkable effect on the first impression that your friends and guests form about your property. At the same time, your driveway is absolutely critical to the ways in which you and your family use and enjoy your residence. At Allpro Contracting, our Southwest Chicago exterior remodeling contractors can help you custom design a concrete driveway specifically for your needs. We will personally inspect your property and inquire as to all your unique goals. Together, we can construct a driveway that will work best for you and your family for the long-term. A concrete patio in Southwest Chicago is the perfect place for you and your family to gather after a long day at work and school. You can share a meal in the area and talk about your day while enjoying the pleasant weather. A patio is also great for entertaining and special events. However you want to use your walkway or patio, our Southwest Chicago exterior remodeling contractors are ready to provide for your needs. With our assistance, the entire project will be handled for you. You and your family are guaranteed to be completely satisfied with the results. If you would like an estimate for driveways, stairs, walkways or concrete patios in Southwest Chicago, please call 708-658-3500 or complete our online request form.